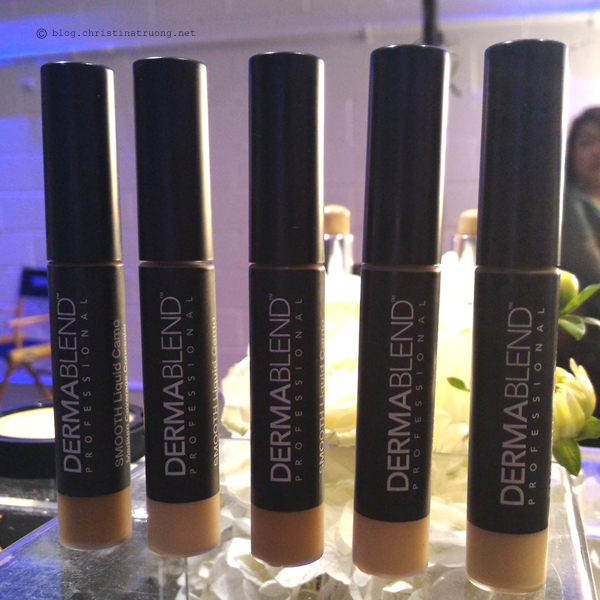 Last month, I got a sneak peek to celebrate the upcoming Canadian launch of Dermablend Professional, test out some products and get matched - trust me, with the shade selections, you're bound to find a spot on perfect shade to match your skin colour. Besides getting my shade matched, I got to see firsthand, from covering freckles to tattoos, at how one product can do so much and best part of all? 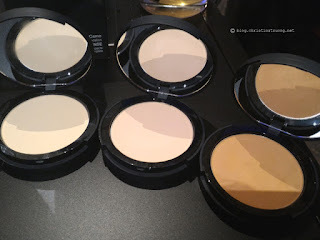 The end results shows full coverage, smooth skin, no product transfers and lasts 16 hours of wear. AND to top everything off, the price is inexpensive for what it provides, definitely worth every penny! 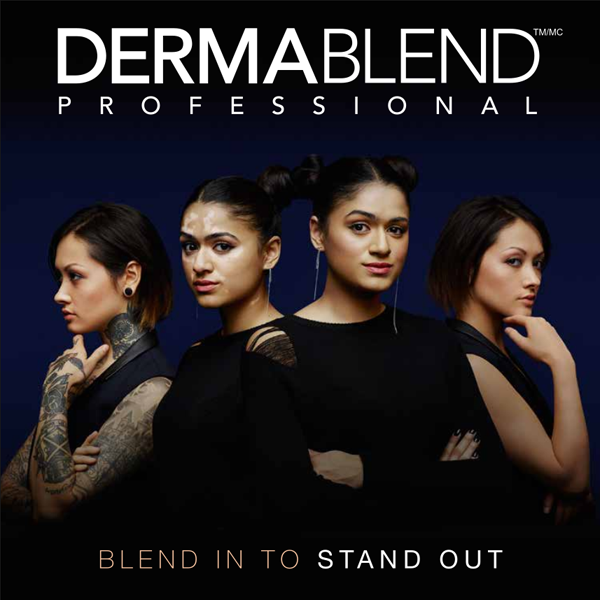 With 4 quick and easy steps, you're going to be amazed at how Dermablend will transform you. 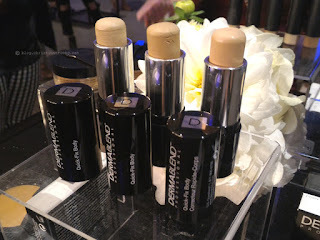 Quick-Fix Body ($31), a full coverage stick foundation for the body. Smooth Liquid Camo Concealer ($27), a medium coverage liquid concealer. Loose Setting Powder ($34), sets makeup and reinforces wearability. After a long day, use Dermablend Professional's Long Wear Makeup Remover ($23), an effective yet gentle makeup remover cream. What are your current thoughts on Dermablend Professional? Have you heard about this brand before? Which product(s) are you most intrigue about or excited to head to a Shoppers Drug Mart to try? Check out my review on select Dermablend products: SMOOTH Liquid Camo, Loose Setting Powder, and Long Wear Makeup Remover. 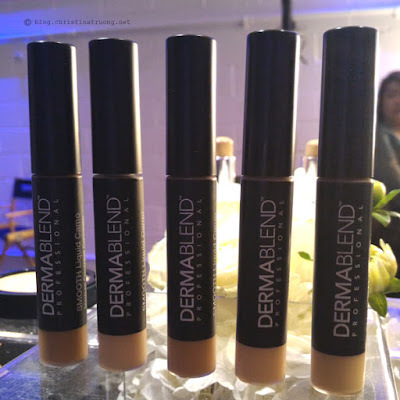 Disclaimer: I was invited to the Dermablend Professional Canadian Launch event. The content of this post is not sponsored. Views expressed are of my own.